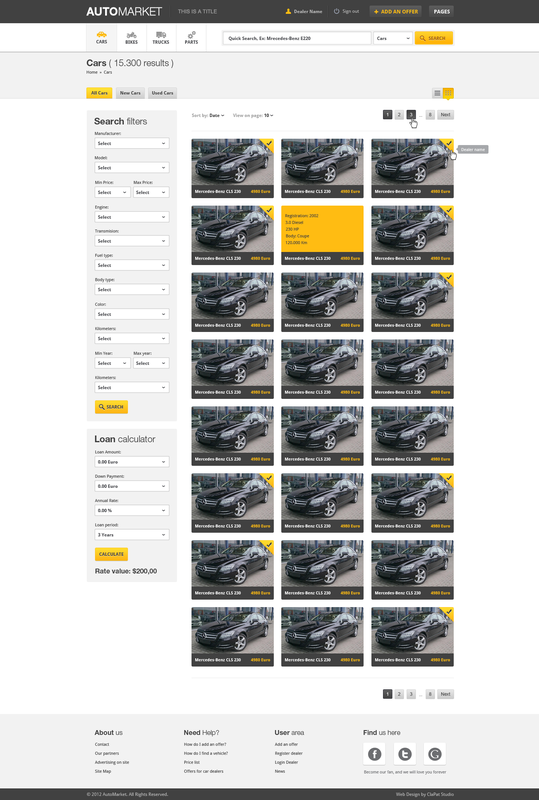 List / Grid view on car list without refresh page. 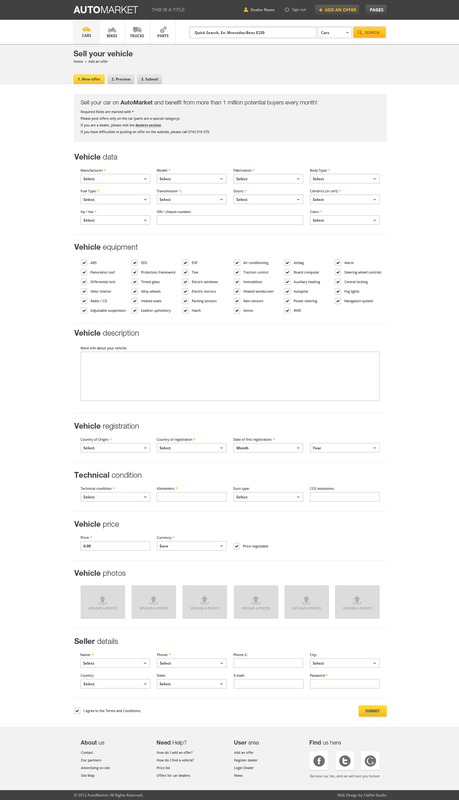 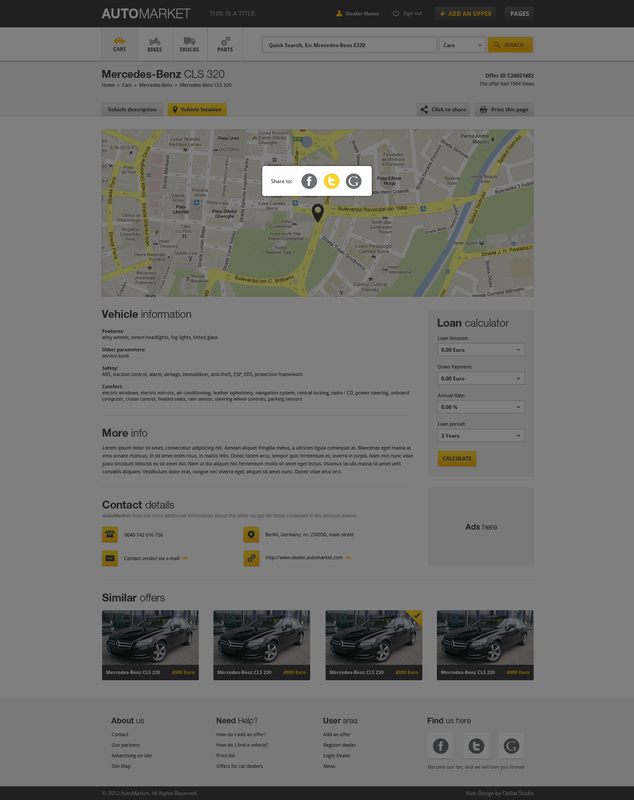 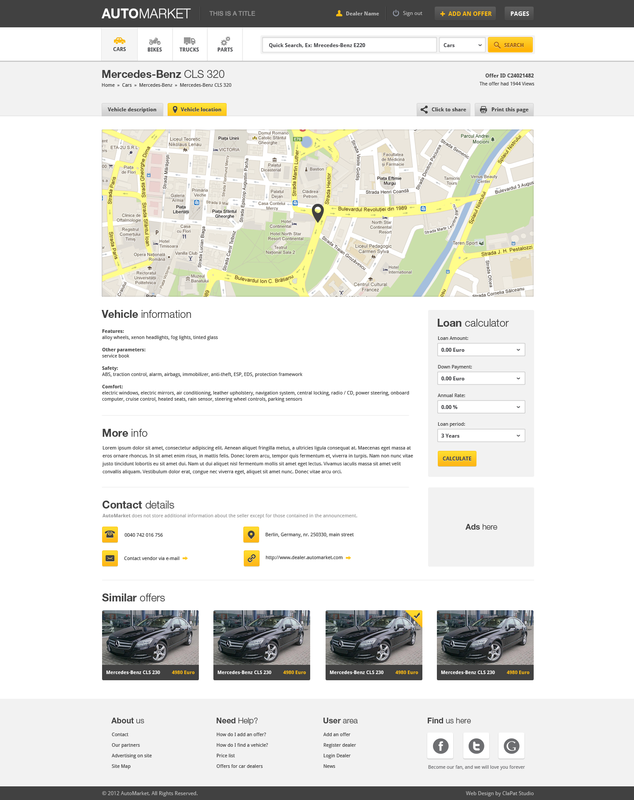 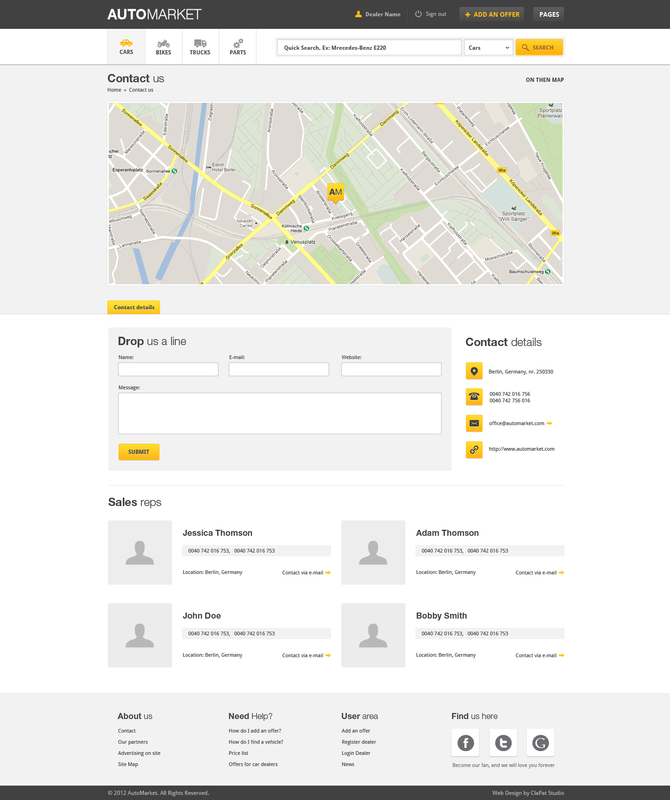 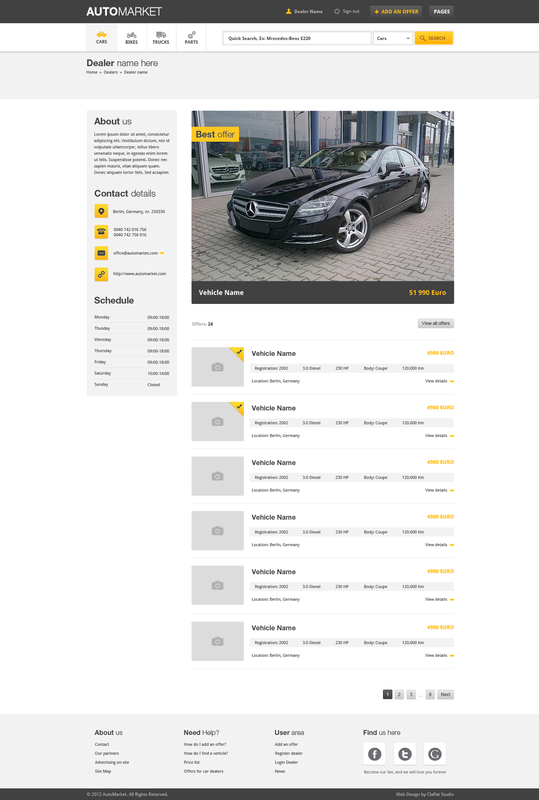 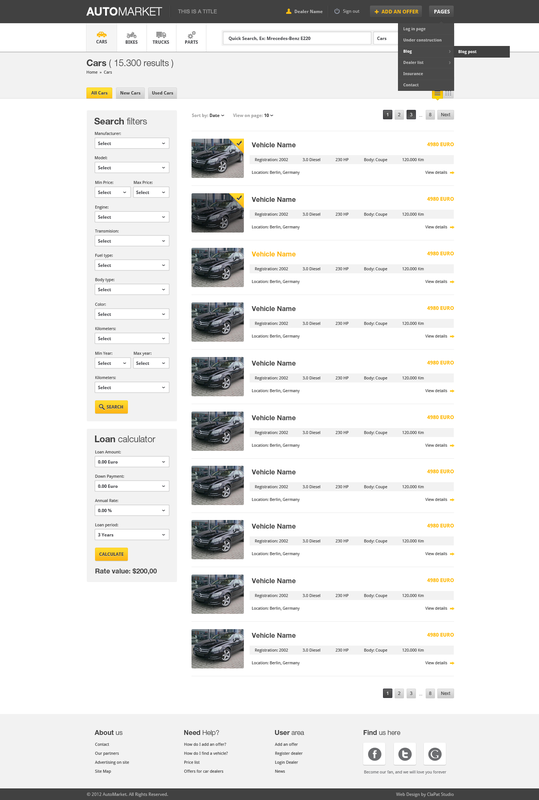 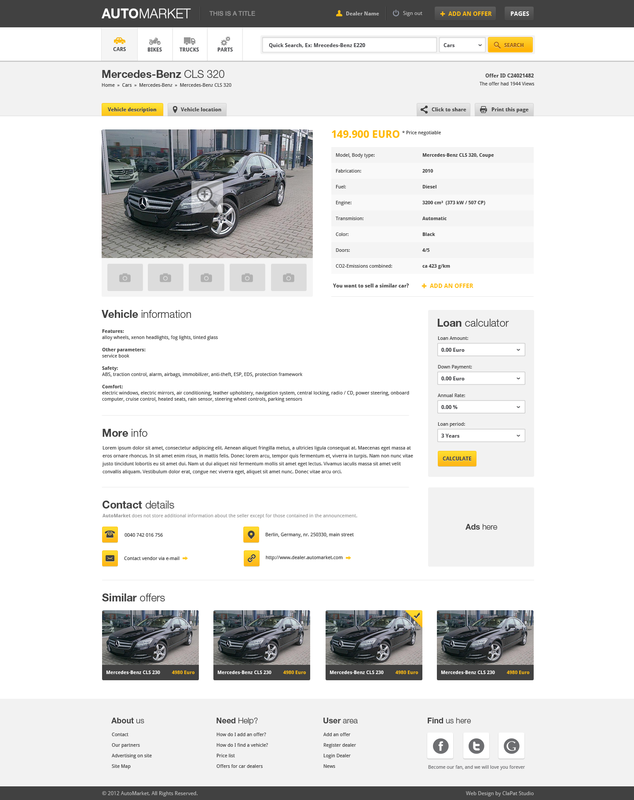 Car page with tabbed content (description and vehicle location) with Google Map API , and customizable marker. 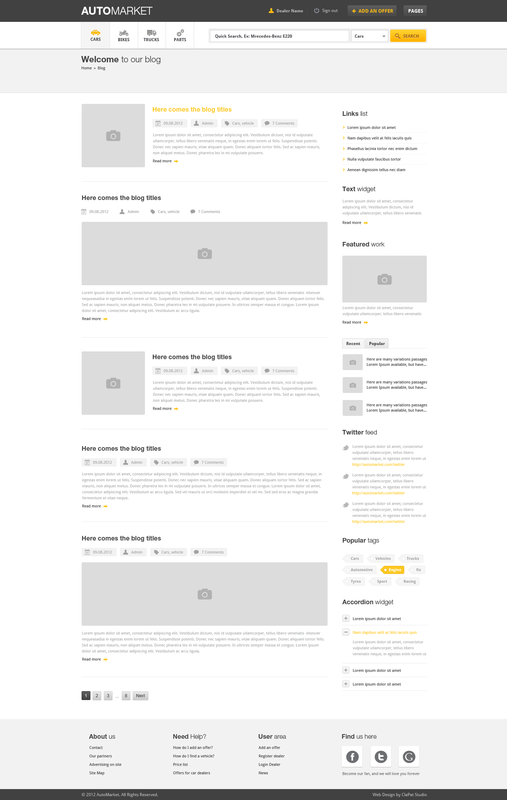 Tested on IE8 / IE9 / Opera / Chorme / Firefox. 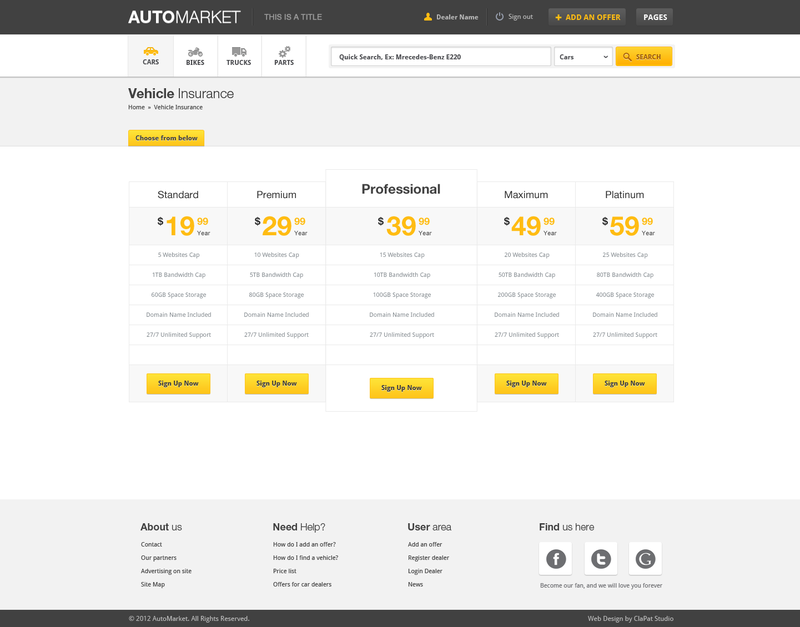 Easy customizable pricing tables (insurance page). 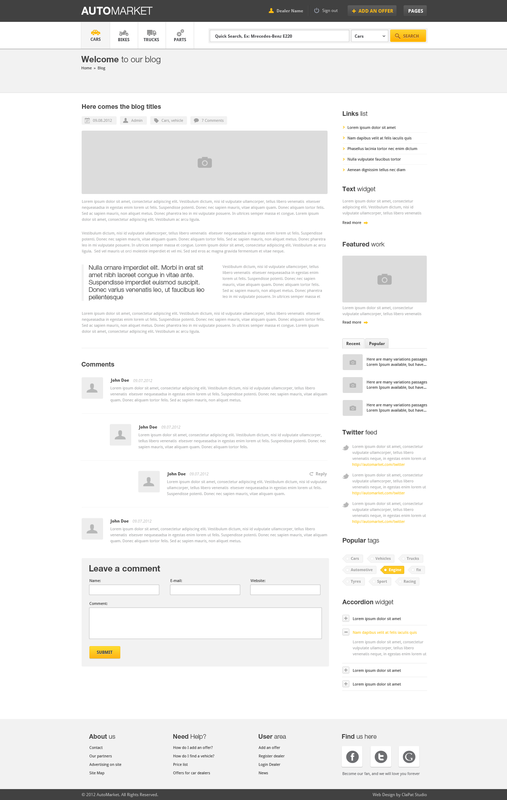 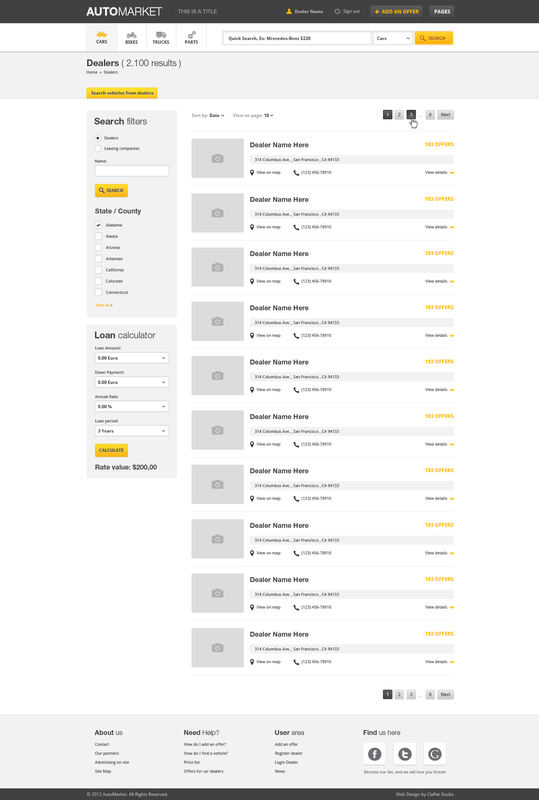 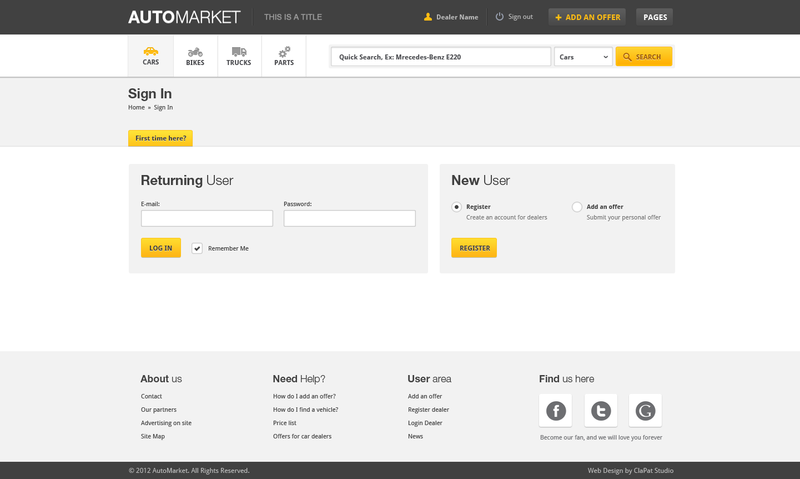 Here’s a few of the options and coolest features of our template. 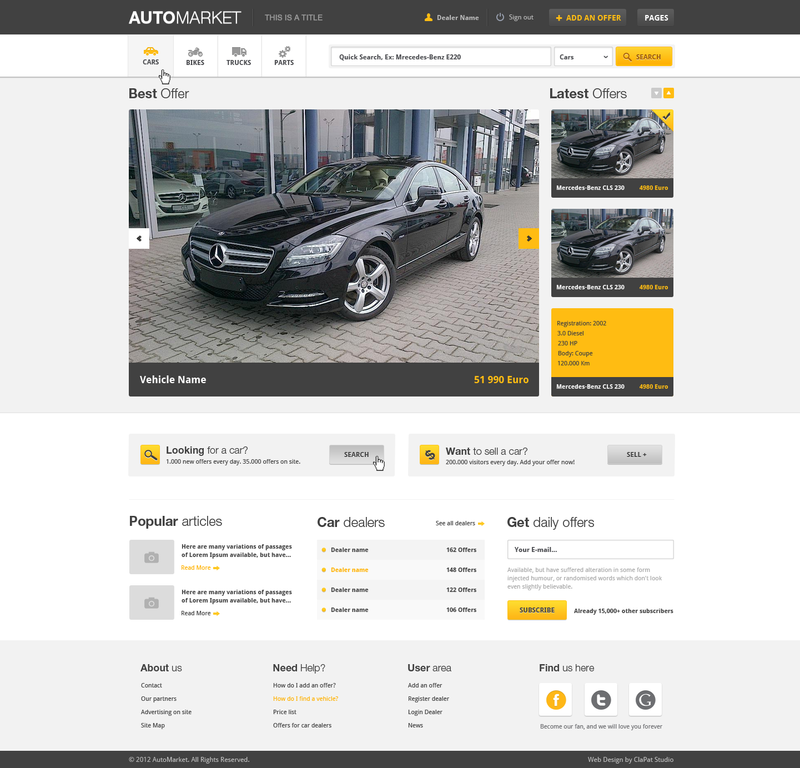 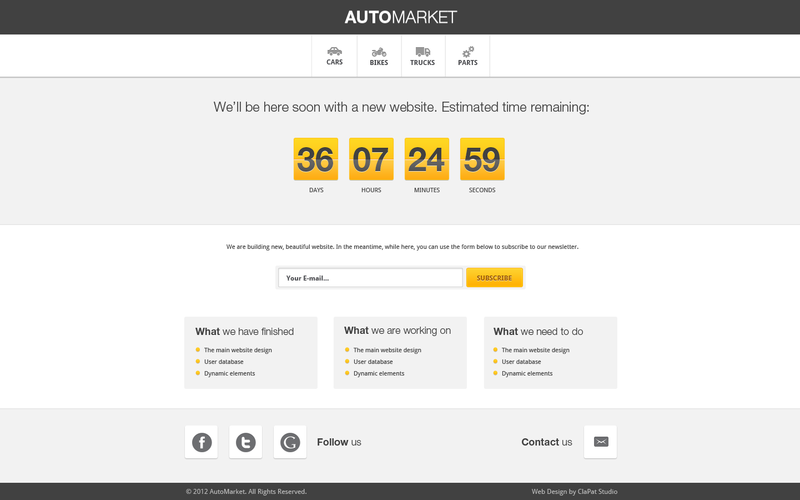 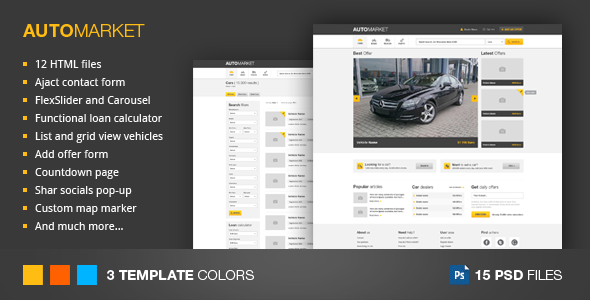 There’s much more features in Automarket, check them out in the demo.